My post on the failure to appropriate 2016 debt repayments attracted a lot of attention and I thought it useful to set out clearly what my objectives are and my approach. 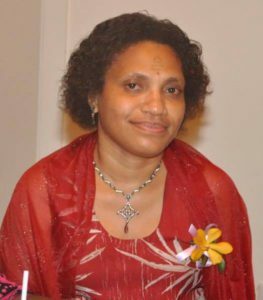 In a previous professional life, I was seconded from PNG Customs Services to the Department of Treasury to work with the Tax Review Committee headed by Sir Nagora Bogan. I was the Team Leader of the Secretariat that did the detailed technical and analytical work for the Committee. I remain grateful for that opportunity and the mentorship provided by Sir Nagora Bogan, Lady Aivu Tauvasa and Sir Luke Critten as well as the support of Department of Treasury. A set of recommendations for reforms to our taxation regime were finalized by the Tax Review Committee and presented to the Government in 2015. I am curious to see how the Government had responded to the recommendations of the Tax Review Committee in the 2017 National Budget. The economic and fiscal context provides an obvious factor in whether the recommendations are adopted or not and when if they are. The political climate in the lead up to an election also can make politicians reform shy. I wanted to understand all this better and so gave up Melbourne Cup for the Budget Lock-up. So last Tuesday, I went to my first ever Budget Lock-up as a private citizen – I have resigned from the public service, to hear the presentation of the 2017 National Budget from Ministers and their departmental heads. It was an interesting experience. I hope to post my thoughts on some of the exchanges during the Lockup. I worked as an auditor with the Internal Revenue Commission and this profession has taught me to validate data before I work with it. In working through the process of checking the numbers in the 2017 National Budget I came across a significant error in the 2016 National Budget that is so large I am astounded that it has not been spotted and corrected. It also raises severe legal ramifications for the Government and responsible Departments and also brings to the fore some wider and related issues. I hope to pull together a set of budget numbers that are “correct” and that will allow me to analyze the 2017 National Budget and form an opinion on matters of interest to me. This has been a slow and tedious exercise as I venture into unfamiliar territory but I have become more conversant with economic policy from my work experience with the Tax Review Committee. I am taking a journey to bring development to my people and to empower women and girls. I recognize that my bid for public office if successful will make me responsible for all those in my electorate. I recognize too that given the under-representation of women in National Parliament I will have a bigger constituency to be a voice and agent for. As I start out on my journey I continue to educate myself and I wanted to share the fruits of my learning labour with others. Abraham Lincoln famously spoke of “…government of the people, by the people, for the people…”. I want to know if our Government performance is matching its rhetoric. The National Budget is the most important tool the Government has for delivering on its policies and promises. The Budget is formulated technically by Departments of Treasury, National Planning & Monitoring and Finance but once it is approved by the National Executive Council it is owned by Executive Government. Once the National Budget is approved by Parliament it is owned both by National Parliament and Executive Government and both arms are accountable for its implementation and oversight. But as Lincoln’s famous words reminds us, it is ultimately our people’s budget. I want to understand the National Budget and I want our people to understand it to. So my aim of providing my analysis of the National Budget is for the consumption of our ordinary people. We elect Government and we should hold them accountable at all times not just at the time of the National Elections. I will keep my analysis and commentaries neutral. I am not yet formally affiliated to any political party though I am exploring all options. So I am independent too. My analysis will be fact based and I will provide an explanation of my methods and the data source that lead me to an answer or conclusion. I may not always be correct and I welcome critical analysis and correction. Our elected Leaders may not appreciate my analysis but they are accountable to our people and should always be open to robust engagement that improves their policy tools. I have actually reached out to a senior Government Minister to alert him to the error I spotted with the 2016 debt appropriation but I haven’t received a response. I will also try to get in touch with the Treasurer’s office by email. Finally, I will keep my writing accessible and make it simple. My involvement with the Tax Review and the many stakeholder consultations we had throughout the country revealed that most of what Government does is not simplified for ordinary Papua New Guineans to digest and understand easily. After I audit the data I hope that it will only take me a week to complete my analysis of the 2017 National Budget. I suspect that it will take me longer and that it may be best to do so with small articles on different topics on my blog. In the meantime, I feel that it is important to highlight any discrepancies or inconsistencies in the 2017 National Budget and to alert the National Government so these can be addressed expeditiously. I wish to thank everyone who has showed support for my cause, offered words of encouragements, shared my posts and subscribed to my blog. I even thank those that have been critical constructively – this helps with improvement. I have seen many interesting questions asked on FaceBook in response to my post on the 2016 debt appropriation gap , which I am unable to respond to individually as there are too many different threads. This blog has priority in terms of responses but I will be overwhelmed if I try to respond to every comment so I seek your indulgence and forgiveness if there is no response or a delay in my response. I will be selective in responding to request for a blog piece. In order for layman and greater illetaracy number this proud nation is confronted with, learned person of your stature had taken a bold journey to enlighten all in simple layman language of what is always done behind closed doors at Waigani..